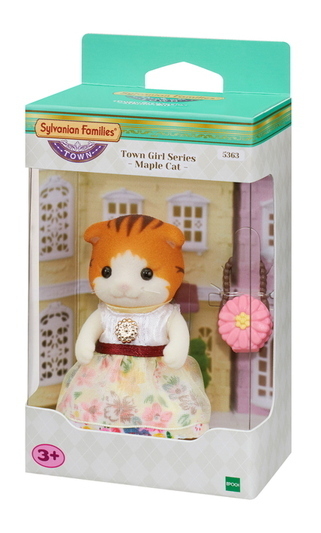 Town Girl Series - Maple Cat - features the Maple Cat Older Sister, characterised by her elegant expression. 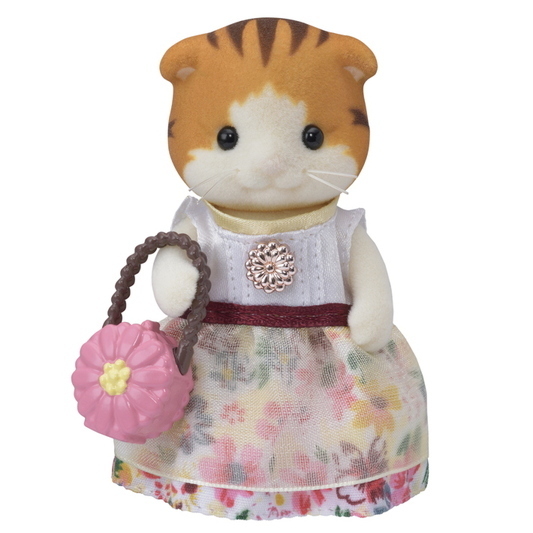 She wears sparkling accessories and a lovely, stylish dress perfect for the town. 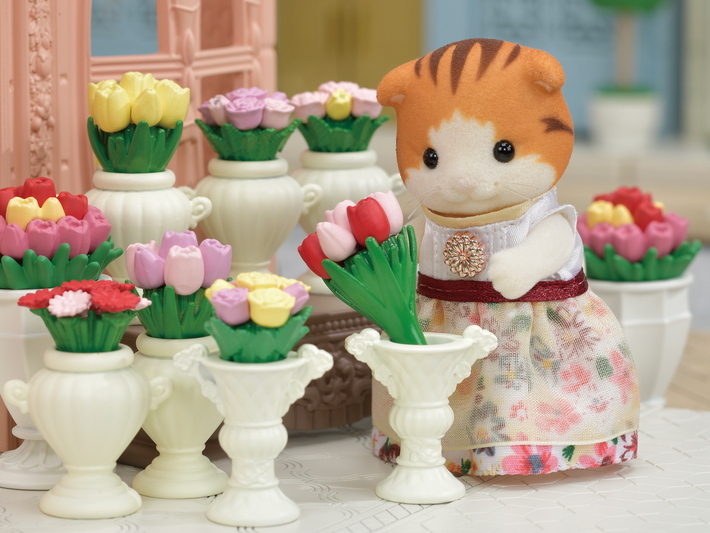 Town Girl Series - Maple Cat - is a florist who arranges many different types of flowers, adding colour to the town. 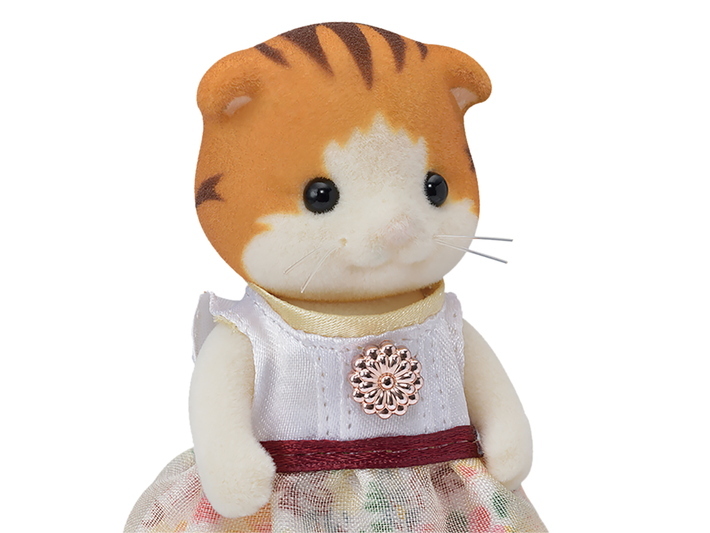 Maple Cat Older Sister is cheerful and is always smiling. 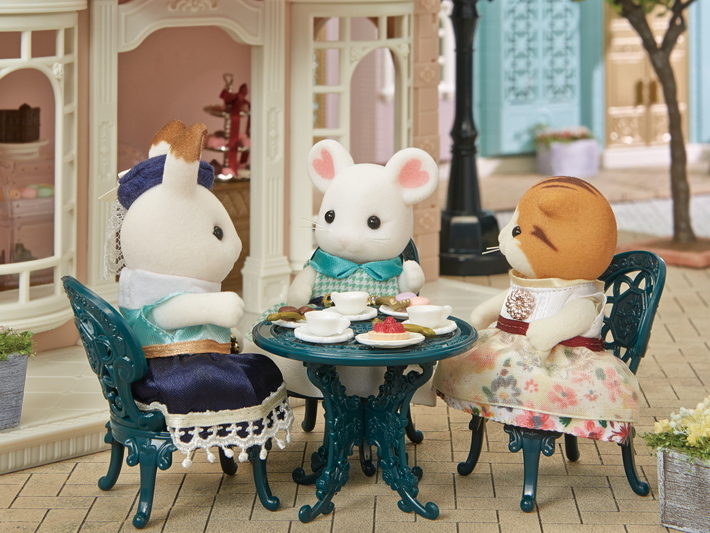 Everyone says talking to Maple Cat Older Sister makes them feel all warm and fuzzy. In contrast to the light mood she so often has about her, she loves reading engaging mystery novels. Play together with the Maple Cat Family, Maple Cat Baby and Maple Cat Twins for even more fun (sold separately). 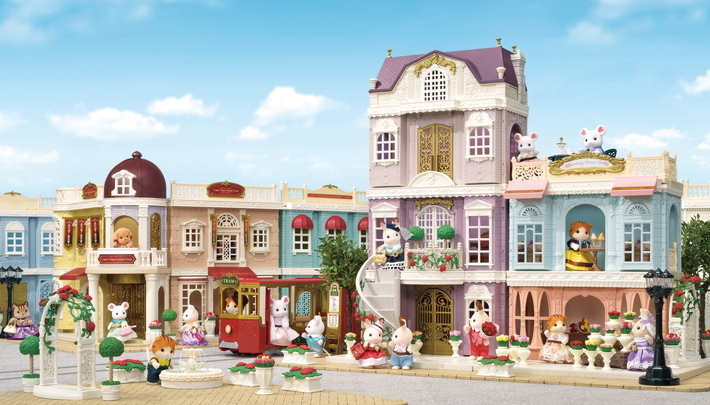 Combining with other stores and figures from the town series allows for even more enjoyable pretend play (sold separately).